Iron Maiden singer Bruce Dickinson will have his head in the clouds when the band headlines the Sonisphere Festival at Knebworth on July 5. The vocalist, who is a qualified airline pilot, will be one of a team of aviation enthusiasts recreating an aerial World War One dogfight high above the thousands of music fans gathered for the show. The 12 minute air display by The Great War Display Team, which includes Bruce, will commemorate the 100th Anniversary of the First World War. The show features nine aircraft of five different types, all exact replicas of the planes used in WW1 combat. 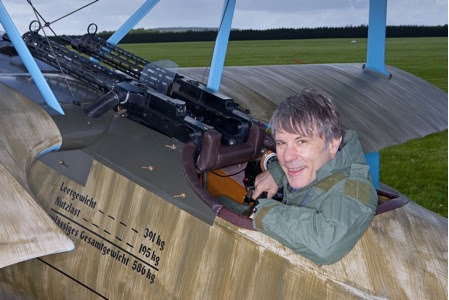 Bruce will be flying his own Fokker Dr1 Triplane, the same model used by infamous German flying ace Manfred von Richthofen, aka The Red Baron. The other members of the elite team are Alex Truman, Dan Griffith, Dave Linney, Ernie Hoblyn, Gordon Brander, Matthew Boddington, Peter Bond, Richard Piper, Vic Lockwood and Will Greenwood. After the display, which begins at 6pm, Bruce will return to solid ground to prepare for Maiden's headline performance a couple of hours later, the final date of their Maiden England world tour. Bruce says: "The air show over Sonisphere is something I'm really excited about and we're determined to put on an unforgettable display for everyone. We're planning an extravaganza of derring-do, especially when you consider the manoeuvres we'll be performing are all based on true-life battles from a hundred years ago. 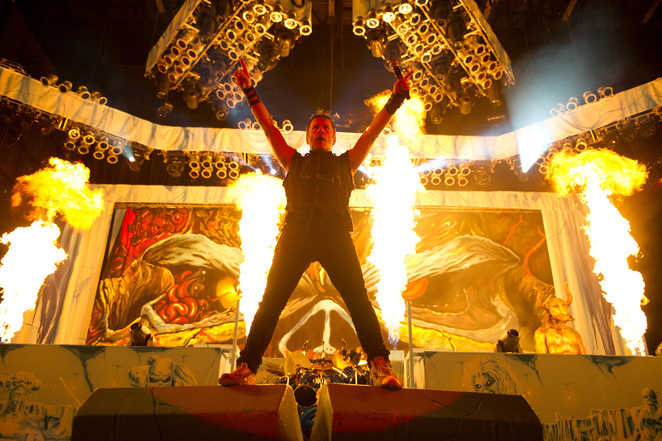 Sonisphere will be Iron Maiden's only UK concert in 2014. Bruce adds: ''This will be the last concert of our 'Maiden England' tour and it is very fitting to end a long and hugely enjoyable tour in our own back yard. We have tweaked the 'Maiden England' set list a bit to make it more representative of our whole '80s era and to give the fans something a bit different, especially as this will be the last of our three tours with an historical perspective. If you are there on the day it is highly likely that you will hear some of these songs played live for the very last time ever. So on an occasion like this, a celebration and the end of a chapter, you can be sure we will do our utmost to give our fans one hell of a show and go out with all guns blazing." 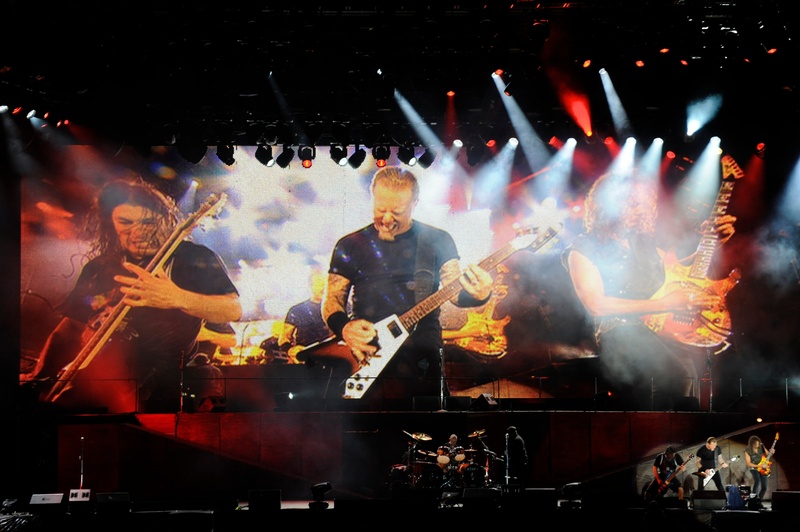 Headlining the following day, July 6, are Metallica, one of the biggest selling rock acts of all time. Formed in 1981 by drummer Lars Ulrich and vocalist and guitarist James Hetfield, the band will deliver a 'Metallica By Request' interactive setlist voted for by fans. Dance/Rock icons The Prodigy kick off the festival with a headline spot on July 4. Emerging out of the UK's early '90s rave scene, The Prodigy welded together industrial beats, punk-rock attitudes, aggressive vocals and searing guitars with their own unique take on dance culture. It brought rock, metal and rave fans together for the first time. Why? 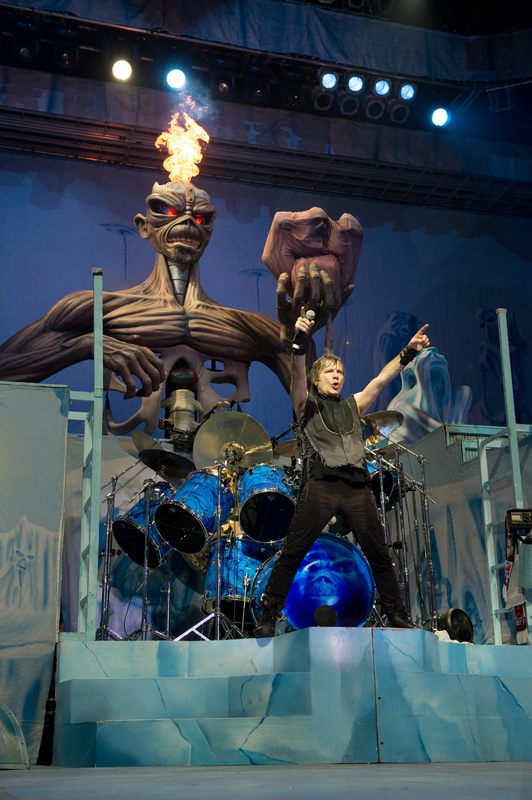 Iron Maiden and Metallica on the same bill in Britain for the first time.